The future of cryptos is always a hot topic of debate, and over the past few months there has been a great deal of global legislative restrictions regarding ICO and cryptocurrency investment due to their perceptions of the high risks and volatility of cryptos. In fact, some countries have viewed the threat (or opportunity?) as great enough to even go so far as to issue their own state-recognized cryptocurrencies as a deterrent for adoption of the more mainstream cryptocurrencies. Countries that have already implemented a state-cryptocurrency include China, Singapore and Ecuador, with other countries showing interest in adopting these systems include Israel, Sweden and Russia. As many hodlers are doubtless concerned that this could pose a threat to the decentralization of currencies that many hope for, they will be happy to learn that not all major economic players view cryptocurrencies as a threat. This is due to her belief that such policies would increase the risk of bank runs in times of financial instability . Arguably, this is a real concern given the currently high global inflation rates and threats economic of economic instability. However, she did admit that once blockchain and distributed ledger technology has developed further it could offer a solution to lowering transfer costs, international transactions, increased security of data transfers and scalability concerns. Overall though, Maechler holds that cryptocurrencies to not pose a long-term threat to fiat currencies. Indeed, from her conference comments, it seems that she views cryptocurrencies as an instrument for investment, rather than a viable payment method for goods and services. She also appears to view cryptocurrencies as a passing fad that is currently only being bolstered by the high levels of hype. 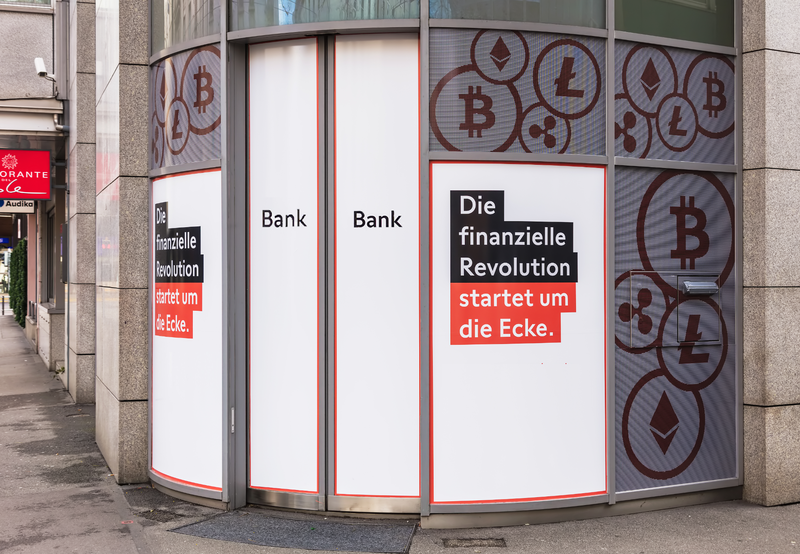 On a positive note, if these views are shared by the rest of the Swiss banking economy, perhaps there will still economic freedom for ICOs in Switzerland in time to come. This is doubtlessly good, as four of the top ten largest ICOs launched in Switzerland due to their lenient stances on the ICO industry. Whether her views are correct or not remains to be seen, but given that the cryptocurrency market cap dropped from ~770 Billion USD in January 2018 to ~250 Billion USD as of April 2018, she seems to have a leg to stand. That being said, regardless of concerns of the long term-threat of cryptocurrencies, countries do seem to have enough short term concerns. Putting aside the untraceable and anonymous transference of local currencies across international borders likely having an obvious impact on those local currency values, the Tom Lee from Fundstrat has claimed that US crypto-hodlrs could owe as much as $25 Billion USD in taxes to the US government. As to whether the future of cryptos is more in line with the views of Meachler or McAfee, we should all stay tuned for the crypto-economies progress in the coming months after US tax season. 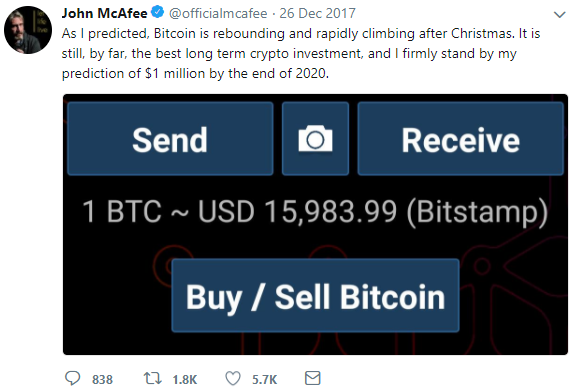 John McAfee, the founder of McAfee® Anti-Virus Software, previously tweeted that he believed that Bitcoin would be valued at $1 Million USD by the end of 2020.